Before the Memorial Day weekend, city officials posed with shovels for the groundbreaking of Tremont Renaissance, a long-planned affordable housing development in East Tremont, the Bronx. The groundbreaking for the 265-unit, mixed income structure at Webster and East Tremont avenues is the latest spate of affordable housing development in the northernmost borough. The project is part of de Blasio’s plan to build or preserve 200,000 units of affordable housing over the next ten years: A little less than half of the apartments will be reserved for low-income families, with the rental floor for three-bedrooms set at $1,224 per month. Units for middle-income households will be available to those making up to $97,920 for a family of three. The 12-story building will include 40,000 square feet of street-level retail, as well as a fitness center, play space for children, an internet lounge, a yoga/dance studio, and landscaped roof terraces. The site was formerly home to a 1930s bank, and the bank’s facade will be incorporated into the building’s lobby. 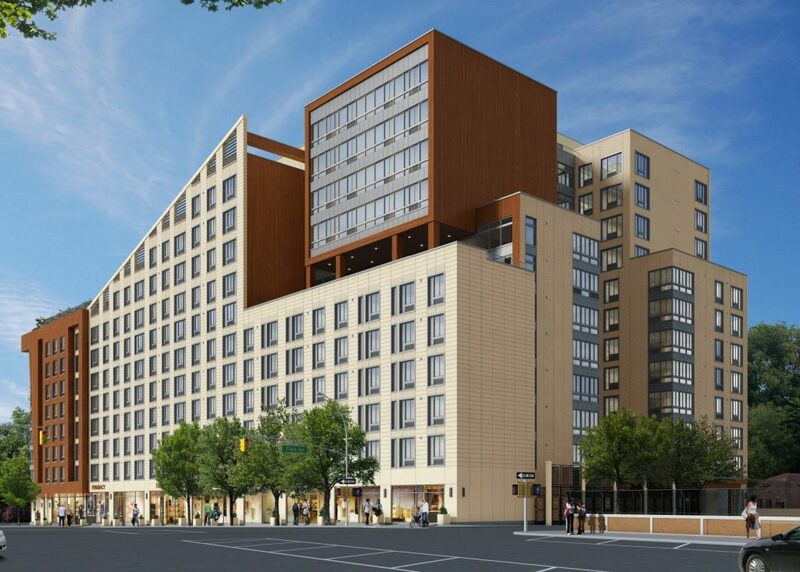 One block over, Mastermind is also developing adjacent 4215 Park Avenue, a 256-unit, mixed-use development, as part of a suite of parcels it owns in the neighborhood. Over 60 of the units in this development will be categorized as Inclusionary Housing.